You heard correctly – Tesla is moving in next door. A mere block from our BEC Brisbane office lies Emporium, which *fingers crossed* will be the site of Tesla’s next Australian store and supercharger system. We were lucky enough to specify a Tesla PowerWall on our recent ESD commission on Princess Street, Petrie Terrace. .
Tesla has produced the fastest, most beautiful, and luxurious electric vehicles on the planet, and is fuelling them for free with their solar-powered supercharger stations. A supercharger in Brisbane would complete a network spanning the eastern cities of Australia, from Melbourne to Brisbane. 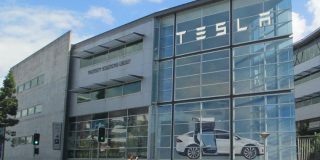 Our Brisbane team are die hard Musk-Fans, and can’t wait to check out the new showroom – due in late 2017.